The original Southern California punk/surf power trio, Agent Orange have been around since forever. Agent Orange reach our sunny shores for shows at the Corner Hotel, Melbourne on October 20, The Step Inn, Brisbane on October 21, Manning Bar, Sydney on October 22 and the Amplifier in Perth on October 23. Before he became the drummer in OFF!, Mario Rubalcaba used to skate for Team Alva in the late 80s to early 90s. Recently while playing a show at the House of Vans in Brooklyn, Mario borrowed a board and showed off some of his skills. Click thru to check out the video. Not too shabby for an old fella. Rain Dogs is a new Byron band formed by ex Comeback Kid bass player Kevin Call, who is now a full time Byron resident along with Parkway frontman Winston McCall and members of Street Youth and Spray. 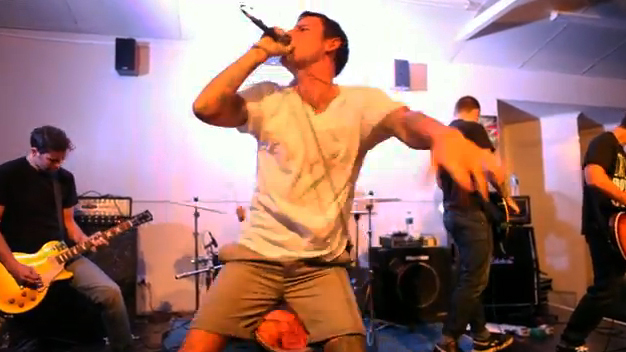 Check out some live video shot by John Hatfield from their first show with Miles Away & Defeater in Byron.